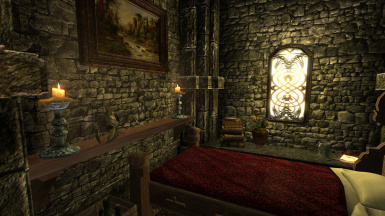 Mod adds a small player's room to the Sun Temple Quarters. 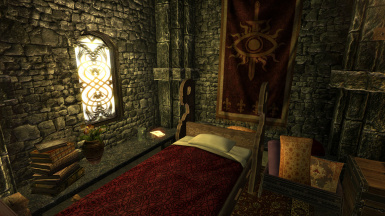 Room is free to use after you'll gain access inside the Sun Temple (main quest). All containers are safe and all items in the room belong to you including a full set of Order's heavy armour. The room is last on your left as you enter the Quarters. Even after you were sworn into the Order you didn't have place to stay on the temple grounds. Now you have! 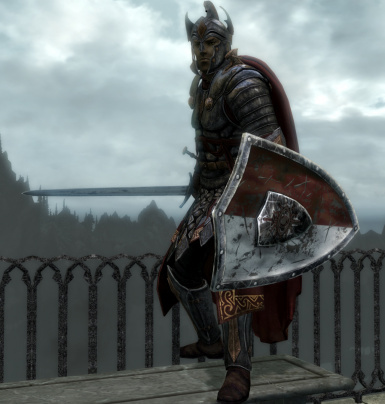 If you wanted a full set of Order's heavy armour but was disappointed by a blacksmith - this mod is for you! There is also a very convenient fountain with holy water to cure your diseases if you ran out of potions and can't find a priest in the middle of the night. 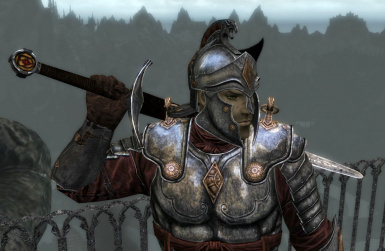 I also fixed the Order's helmet (_00E_Order_Warden_HelmetAA) for elven-based races. With this mod all our pretty elven ears are safely tucked under the helmet. Two cells names also were fixed for English version: Sun Temple Quarters and Sun Temple Bath. If Enderal team or any other mod will fix all this stuff in the future, then any mod loaded after mine will override these changes, so no worries. You will find a full set of Order's heavy armour in a chest in your room. All new items have new IDs, appropriate keywords and tempering recipes. Set of Order's heavy armour from the chest is worth upgrading but it will not give you any additional bonuses. For that you will need Enderal original complete set of armour. No Enderal's IDs or navmeshes were harmed in the process of making this mod. There are two files in download section. They are identical and both up to date. 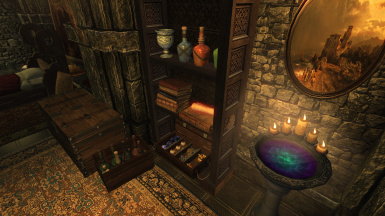 The only difference is that the optional file offers Enderal's vanilla system of handling enchanted and tempered items - tempering after enchantment is not allowed. 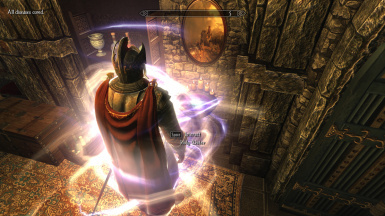 Main file offers Skyrim's system - you can enchant and temper afterwards as many times as your Handcrafting level allows. You can upgrade from version 1.0 to 1.1 any time simply by replacing the ESP file. Mod is safe to install mid-game. Load order doesn't matter. 1. Drop all files from the archive into your Skyrim\Data folder. 2. 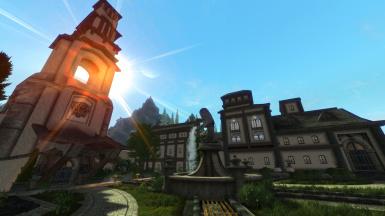 Start Enderal Launcher and check the SunTemple Quarters.esp file. Why would you? 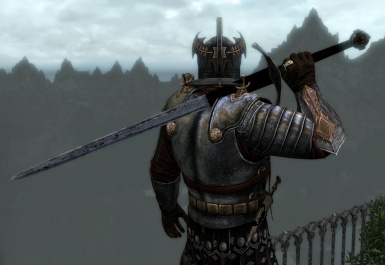 This small mod is very useful and will not affect your gameplay in any way. Just put all unwanted items from the mod into the chest in the room, close the door and forget about it. 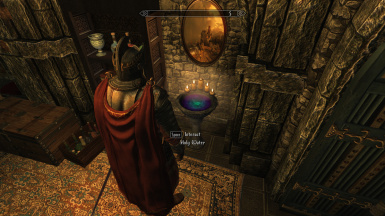 This mod uses 1 vanilla Skyrim script (templeblessingscript) for the fountain to work. 1. 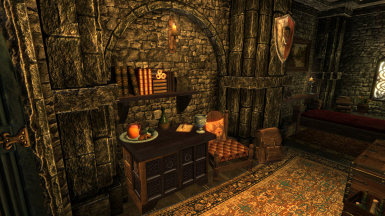 Remove all your personal items from containers in player's room in the Sun Temple Quarters. 2. Leave the cell (go outside). Save (do not Quick save). Exit the game. 3. 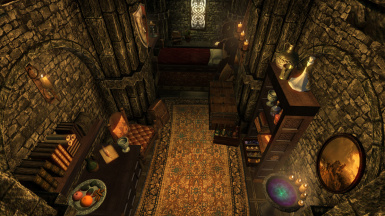 Uncheck SunTemple Quarters.esp in Enderal launcher. Exit the launcher. 4. Delete the files/folders associated with the mod. 6. Load your last save. Make a new save (do not Quick save) in a new slot. Play. 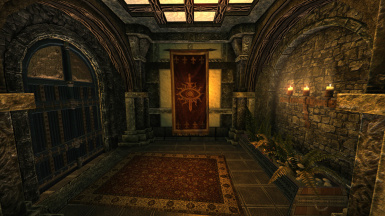 Any mod that alters the same space in the Sun Temple Quarters will conflict. Player's room wasn't navmeshed on purpose. I decided not to mess with original navmeshes. 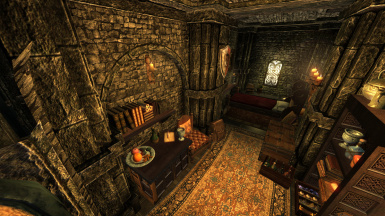 Absence of navmeshes in the player's room only means that you will have more privacy there. No one is going to wander in. Sorry for any mistakes, English is not my native language, feel free to correct me.